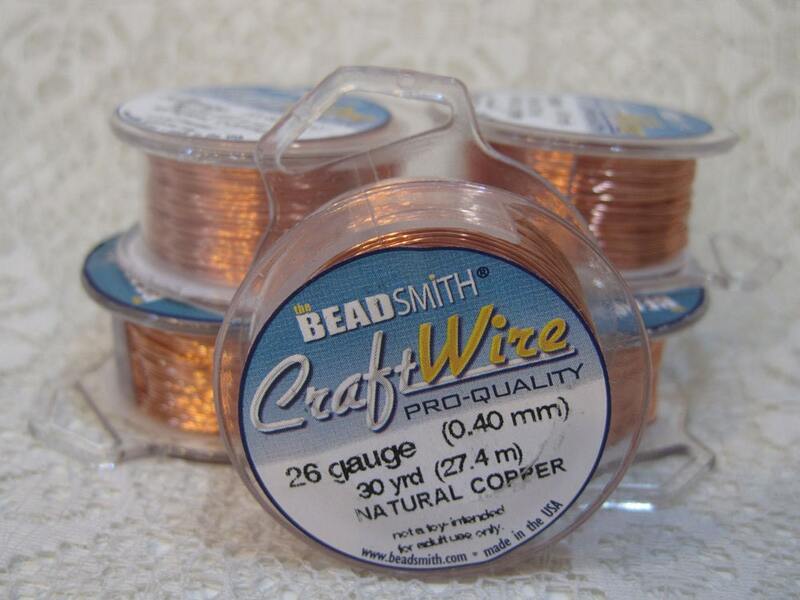 High quality non- tarnish natural copper wire, 26 ga. 30 yards - that's 90 feet!. Made in USA - professional quality craft wire! For all your jewelry, craft, beading, and other artistic projects! Another great purchase from this shop...thanks so much! item is just as described, perfect! I love working with wire. This seller is not only accommodating in getting you wire if you don't see it listed, but also ships SUPER FAST! This is my new "go to" place for wire. Great prices and a large assortment.